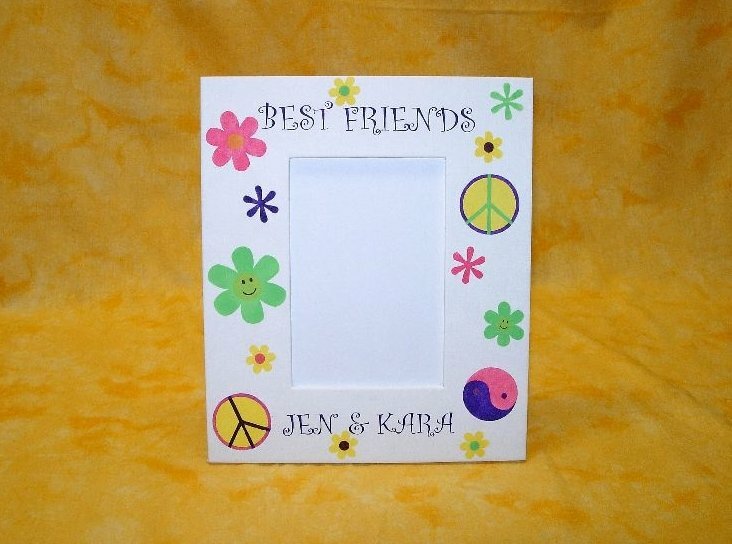 Decorate an inexpensive picture frame with bright, bold colors, and even personalize it with the names or phrases of your choice. 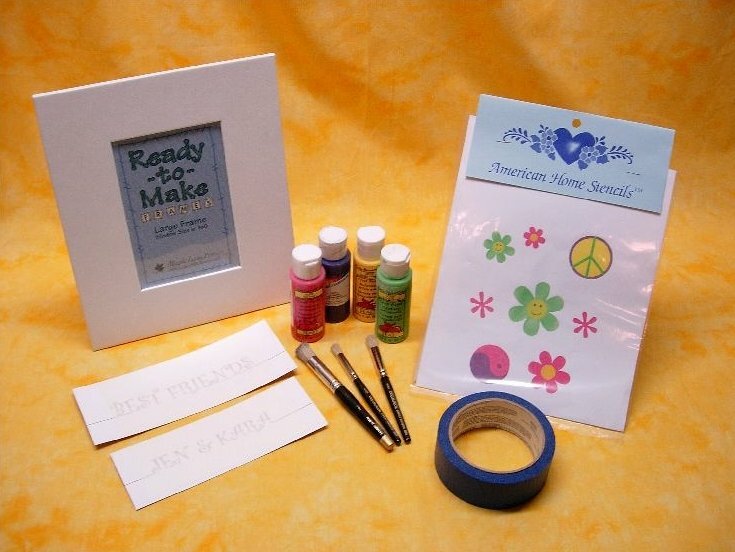 Our fun lettering and stencil designs make it easy to transform a plain picture frame into a personalized gift. 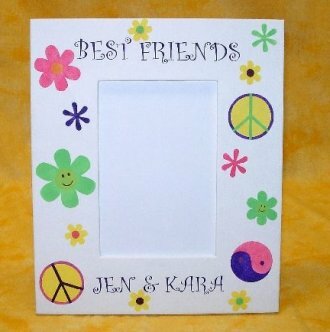 Think of all the possibilities: birthdays, anniversaries, or even that special pet picture you've been so eager to frame. You're only limited by your imagination! 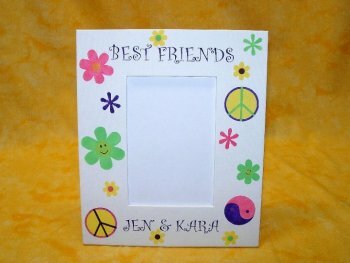 Plain picture frame, 4" x 6"
Remove brown paper backing from custom lettering stencils and position them in the desired location on the frame. Press firmly around the lettering before applying paint. 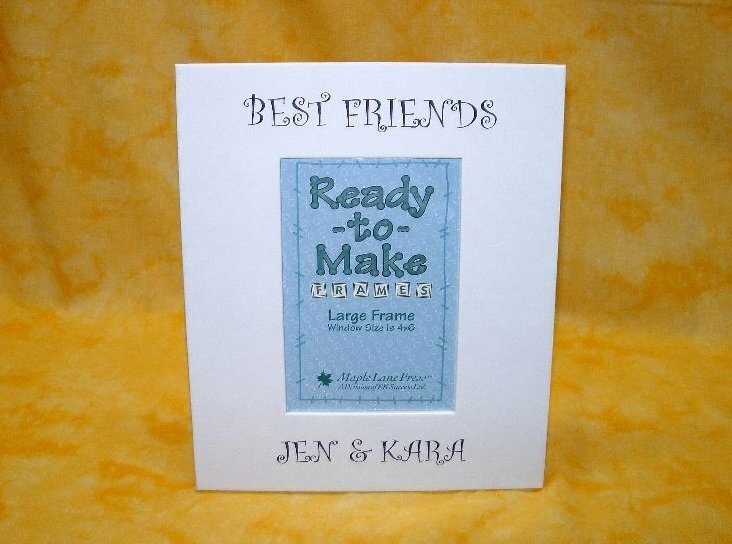 Stencil all lettering in purple. We used a pouncing technique on the first coat and a more swirling technique on any subsequent coats until we achieved the desired depth of color. Place the first overlay of your Sixty's Stuff stencil in the desired location and apply paint. 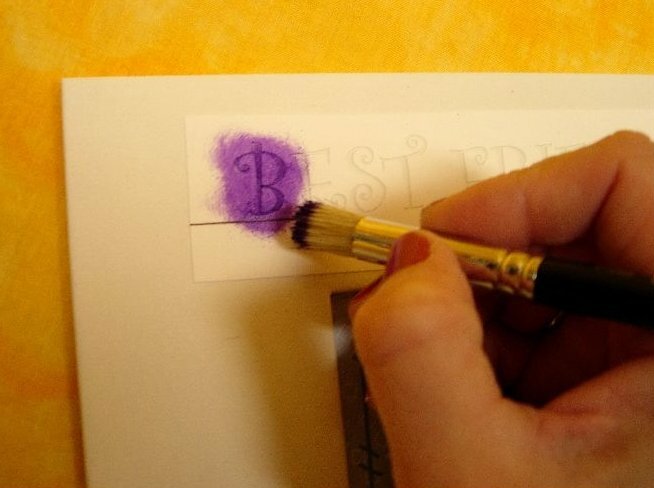 Remember to mark the registration marks in pencil so that you can correctly align the next two overlays. Apply the next two overlays with the desired colors. Randomly apply your designs until you have achieved the desired effect. The sky's the limit with phrases and ideas for this project! 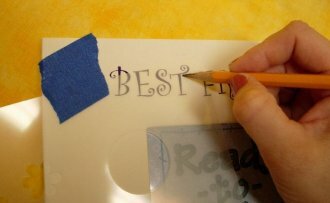 To order your special names or phrases, please visit our custom lettering stencils page.